What a story!! 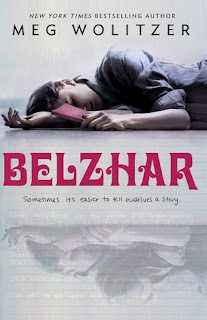 BELZHAR was such a fascinating YA read with a touch of magical realism that I absolutely fell right into and didn’t want to leave – much like the characters in this book. Meg Wolitzer creates a story that blends the real, traumatic world of being a teenager and the magic that can come from writing. Jam Gallahue is sent away to a boarding school called The Wooden Barn to help her get over the death of her boyfriend, Reeve, and essentially to start living again. But Jam doesn’t want to get better; she wallows in the darkness that came over when she lost the love of her life. Being a teenager in love feels like the world should stop when something happens to that love. Jam is confused and heartbroken and spiraling into a depression that she can’t seem to find a way out of. Her parents and friends want her to just “snap out of it” as if that’s all it takes to suddenly see the light again. Jam needs to learn how to let the light back in on her own. Jam is enrolled in an English class that really opens her eyes to the power of writing and just how incredibly healing words can be. During her semester, she spends time reading up on Sylvia Plath and falls in love with her writing style. I loved learning about THE BELL JAR through Jam’s eyes, seeing as I haven’t read it myself, because it made me want to immediately run out and pick that story up to see for myself what I was missing out on. Being in this English class means completing a writing assignment in a journal that Jam has no interest in writing in. But after putting her pen to the paper for the first time, she realizes just how intense writing can feel. BELZHAR is a stunning story about a teenager who loses love after only getting a taste of it and succumbs to the sadness that ensues when love is lost. It’s about finding your way back to the person you used to be before the tragedy and dealing with life after loss. Meg Wolitzer weaves a tale of sorrow and beauty and how writing can be the most cathartic experience a person can have. 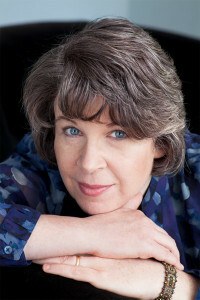 Meg Wolitzer’s novels include The Interestings; The Uncoupling; The Ten-Year Nap; The Position; and The Wife. She is also the author of a novel for middle-grade readers, The Fingertips of Duncan Dorfman, and a novel for young adults, Belzhar. Wolitzer’s short fiction has appeared in The Best American Short Stories and The Pushcart Prize. A faculty member of the MFA program at Stony Brook Southampton, in September 2013 along with singer-songwriter Suzzy Roche she was a guest artist in the Princeton Atelier program at Princeton University.